“Writing vacations are held in special places,” said Ronni Miller, Director of the Write It Out Program and facilitator of the retreat workshops. 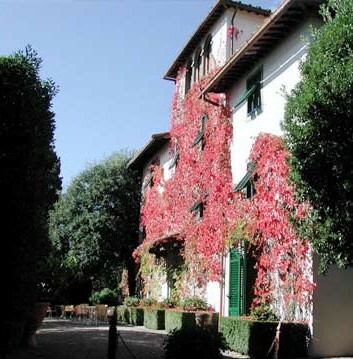 “The locations chosen are based on personal experience with romantic and historic settings that stimulate the imagination to create and write.” Participants focus on personal writing projects, as well as attend workshops that specialize in Write It Out’s powerful techniques of expressive writing for wellness and personal growth. These workshops renew the sprit and have helped thousands of writers discover insights, connections and self-understanding. Private consultations are encouraged. Evening salons offer the opportunity to entertain and share work. Writers of any genre or level of experience are welcome to participate. The added benefits of these vacation writing retreats provide relaxation, creativity, connection, and absorption of the culture of a location. Her retreats are considered “experiences of a lifetime” by past attendees. Click on the titles below to see more information on these offerings or contact us for more information. Thursday, July 26 - Saturday, July 29, 2018. Ronni says,“Join us at our favorite spot on the north Atlantic seashore of Cape Cod to write, create, renew and restore. Learn the value of simple techniques of expressive and sensory writing that aid in personal growth. Enjoy this historic village of fisherman and artists nestled between Cape Cod Bay and the Atlantic Ocean home to the Wellfleet Oyster. 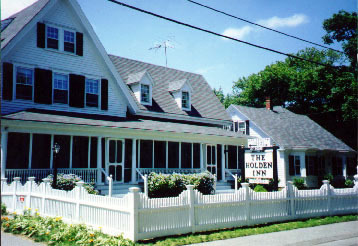 Our small retreat is held at an Inn, once a sea captain’s home. Let the smell of salt water, sound of ship’s bell, taste of fresh cod, sight of sailboats in the harbor and touch of a crisp breeze on you cheek revive your senses to write your story." About the facilitator: Ronni Miller is the Director of Write It Out®, a motivational and expressive writing for wellness program she founded and developed in 1992. An experienced expert working in the field of expressive writing, Ronni lectures and facilitates workshops in the United States and Italy. Her Write It Out® program and newest book Cocoon To Butterfly: A Metamorphosis of Personal Growth Through Expressive Writing has been endorsed by James W. Pennebaker PhD, known internationally for his research in the field of expressive writing for wellness. A graduate of Boston University, Ronni is a published author of books, short stories, poems, essays, articles and plays as well as the editor of magazines and newspapers. In her private practice, she serves as as a mentor to writers in drawing out their stories through expressive writing and as a book midwife to budding authors in shaping, editing and finalizing their manuscripts for publication. Home Blog Workshops Books Contact Us!